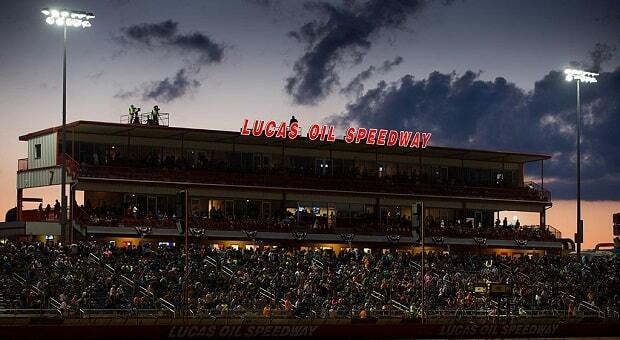 USRA Modifieds & O’Reilly Auto Parts Street Stock racing takes place at Lucas Oil Raceway, Oval Track on April 12-13, 2019. USRA Modifieds run carbureted V-8s. 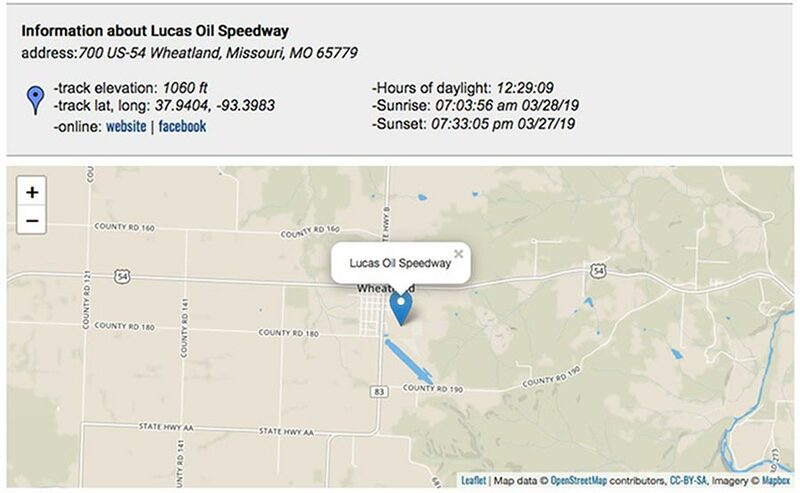 From Air Density Online’s weather page, Lucas Oil Speedway is located on a displayed map for that racetrack along with the address & elevation. Sunoco gas is a promotional partner. Alcohol fuel is also allowed in the USRA rulebook. Both USRA Modifieds & Street Stock racers that will be competing run carburetors. Air density changes throughout the day, and a carburetor provides some automatic compensation for these changes up to certain limits. Last year’s weather for April 12 saw the temperature vary from a 4 pm high of 85 deg F down to an 11 pm low of 71 deg F. Humidity went from a 5 pm low of 38% up to an 11 pm high of 58%. 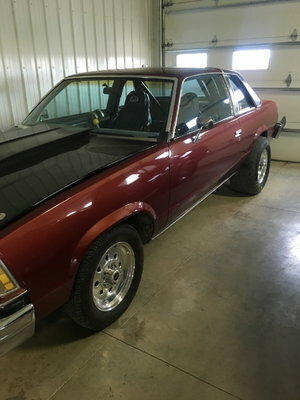 Most carbureted racing engines should not need jetting or other carburetor adjustments for this relatively narrow range if they are already jetted for the middle-of-the-road range for this track altitude and air density. Those that are not already jetted for the middle-of-the-road range for this track altitude and air density may need adjustment either from a warm afternoon qualifying or a cool evening final heat. Engine setups confirmed with a dyno test, prior to installation in the racecar, experience differences from the racing environment. A dyno test is done at the air density for that dyno facility. 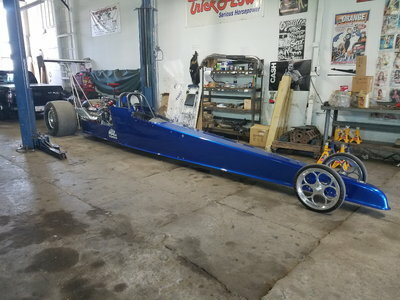 If that dyno facility is located at an altitude substantially different than the Wheatland, Missouri track, carburetor jetting may need changing from a dyno optimum. A dyno test is often done with city water for cooling. Water has a different cooling rate than antifreeze that may be used in the running racecar. Further, antifreeze has less cooling absorption that may cause small differences in cylinder-to-cylinder temperature variations. Warmer cylinders on the dyno water may be hotter with antifreeze in the radiator. A dyno test is usually for a level engine. However, it may be tilted in the racecar. The low point in the manifold would collect more fuel droplets than in a level engine. As a result, the low point may be richer than the high point. Additionally, the low point cylinders may be cooler in the racecar than in the dyno while the high point cylinders may be hotter. The dyno is stationary. In the racecar, the carburator on the engine is bouncing and turning. Those motions will affect fuel distribution in ways that would not be seen on the dyno. Installation in the racecar often needs higher float levels to help compensate for movement. The racecar turns in one direction. The outside cylinders may see more fuel droplets in the manifold flinging to the outside. Carburetor jetting bias may be needed to help compensate. Smaller jets may be needed in the carburetor that are on the same side as the outside of the turn. If a duel plane manifold is used, the divider in the manifold helps fuel distribution a bit. In addition, the vacuum signal from an open intake valve is stronger in a dual plane intake manifold which helps to maintain fuel distribution. If any combinations are run with a single plane manifold, fuel distribution bias from tuning becomes a greater problem. Air density changes throughout an event can cause one or more cylinders to go lean or rich from a stationary baseline. That can also occur for a baseline established at a different location when air density changes are in combination with any of the above causes of fuel variation in each cylinder. Wheatland is at 1,060 feet. For racers from the coast at near sea level altitudes, a typical jetting change of one jet size smaller may be helpful to maintain an ideal mixture ratio for the baseline at this higher altitude for comparable temperature and humidity values. For racers from inland foothills and mountain regions running baselines that may be 2,000 feet higher than Wheatland, for example, a couple jetting sizes larger may be needed for the higher air density at Wheatland. For any racers from around Denver, CO or Albuquerque, NM where altitudes are in the 5,000 foot range, 4 to 5 jets size increases may be needed for the higher air density at Wheatland. That would be in order to maintain the same fuel mixture from the higher altitude baseline which has a lower air density. Regardless of any of this, some racing tuners may increase jet sizes to richen the engine for more cooling. Others may reduce jet sizes to lean the engine for more heat. Part of that depends on the condition of the cooling system. If the cooling system is aged or dirty with reduced efficiency, jetting enrichment may be needed for added cooling regardless of the altitude needs. 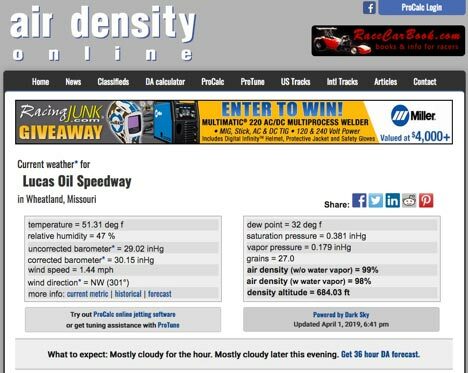 Screen snapshot of air density data on April 1, 2019 for Lucas Oil Speedway shows key air density, density altitude, and grains of water data common for race engine tuning. 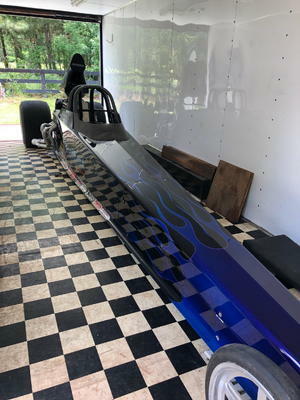 The following link: https://airdensityonline.com/track-results/Lucas_Oil_Speedway/ can be examined for the current air density. (1) Air density data can be viewed in metric units for the international tuners. (2) Historical air density data can be viewed for the previous day’s data & further back from that. (3) A forecast can be viewed for tomorrow’s data for tuning planning. (4) Both Air density data forecast & history are provided in hourly frequencies. 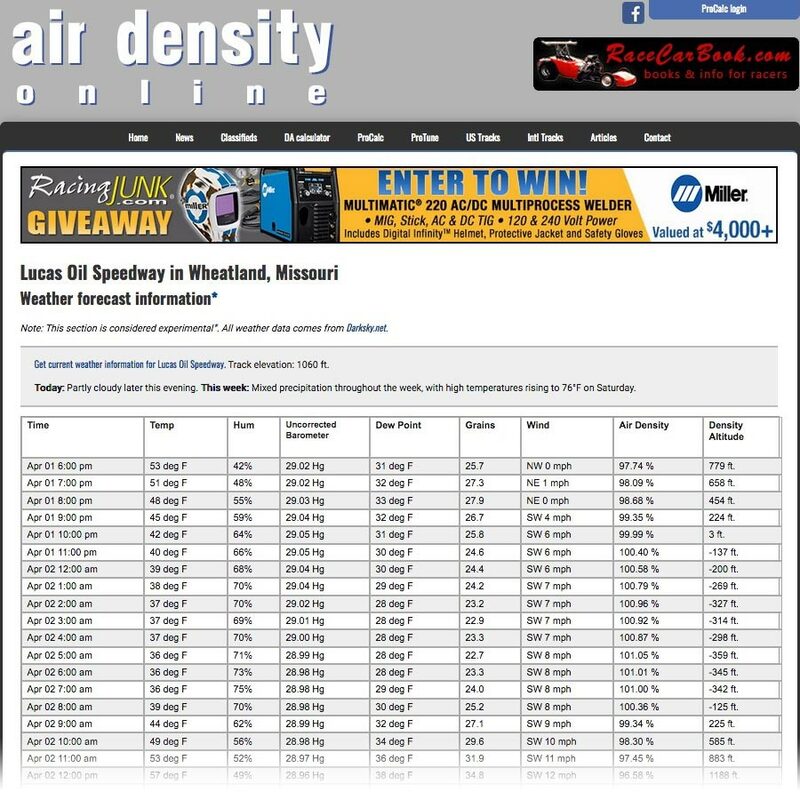 Snapshot of air density data forecast from April 1, 2019 for Lucas Oil Speedway. The data can be updated such as for April 12 & 13 when this event takes place. The amount of fuel that the engine needs from the carburetor is in proportion to the air density. An engine needs less fuel from the carburetor with lower air density and more fuel from the carburetor with higher air density. The carburetor is jetted to provide a certain air/fuel ratio with the amount of air going through it. Larger jetting lowers the air/fuel ratio for a richer mixture. Smaller jetting increases the air/fuel ratio for a leaner mixture. Air density percentage is an accumulated value from the air temperature, humidity, and barometer. Circle racing events often experience qualifying in the heat of the afternoon with the main event in the cool of the evening. A dramatic change in air density often occurs with that time difference. For example, air density will go up 2% with a temperature change from 80 deg F in the afternoon, down to 60 deg F in the evening. That alone necessitates an increase of 2% more fuel from the carburetor if humidity & barometer were unchanged. In another example, air density will go down 1% with a humidity change from 10% in the warm afternoon up to 60% in the cool evening. That has a comparable reduction in fuel need, again if temperature & barometer were unchanged. In the final example, the barometer can go up or down depending on weather fronts. Air density will go down over 1% from a barometer drop of 0.5 inches HG. Air density will go up over 1% with a barometer increase of 0.5 in HG. That would again be the variation if temperature & humidity were unchanged. The fuel need goes with the barometer change. The data from airdensityonline.com also shows current wind speed and direction. If the wind speed is high, a weather front may be moving in or out. That may also depend on the direction. ‘Locals’ from the area may have information on the effect of wind direction on barometer change predictions. Each of the three weather values independently affect the amount of fuel that the engine needs from the carburetor. The air density value is an accumulated value for that combination. If you have the three values from other sources, you can also determine the air density percentage from https://airdensityonline.com/free-calcs/. A carburetor can compensate – to a certain extent – for air density differences. However, carburetor jetting needs to be set in the middle-of-the-range of the extremes. These include changes from the warm, dry air during the day-time qualifying through to the cool, damp air of the evening during the main event. Engine setups may need jetting adjustment to be in the middle-range for that difference. Spark plug readings, engine temperature, engine response, feel of acceleration, and lap times are common trial-and-error indicators. Unfortunately they are not exact, and the talent / experience of the tuner becomes important. Record keeping of setups from different air densities and track locations are a good way to compare for subsequent event preparation. For many circle tracks on the air density ‘tracks lists’, historic air density data can be retrieved to further analyze previous events if you do not already have that data. This analysis can help you catch up to the more experienced tuners. On a 300 horsepower engine at sea level, for example, horsepower will go up 6.5 HP from a temperature drop of 80 deg F down to 60 deg F. Horsepower will go down 3 HP from a humidity increase of 10% up to 60%. 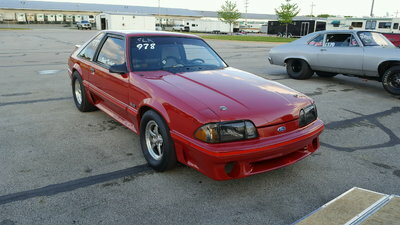 If a low pressure weather front moves in that drops the barometer 0.5 inHG, the horsepower will drop almost 6 HP. If a high pressure weather front moves in that raises the barometer 0.5 inHG, the horsepower will rise 6 HP. Again, the air density provides an indication of the accumulated effect of these changes, although it is not in proportion to the changes in fuel needs. For an increase in air density over the baseline, the horsepower will go up. For a decrease in air density over a baseline, the horsepower will go down. Horsepower effects are quite complex however, and rely on knowing your particular engine’s characteristics. Note: Engine problems or carburetor jetting oversights can also affect these horsepower characteristics and possibly even in the opposite direction. For example: if jetting is too lean in hot weather, horsepower may not go up with cooler temperatures. There is just not enough fuel to make more power, and in fact power may drop from further leanness in the high air density. Gasoline or methanol is specified by the racing rules for this event. Sunoco is a promotional partner. For gasoline fuels, some of the blends are specific to a season. Some are specific to an altitude. If you bring fuel in that is from a different season or a different altitude, it may not work as well as fuel that is supplied locally to the event and at the time of the event. Fuel for higher altitudes may have vapor lock on a low altitude location. Fuel stored from a cool winter may have vapor lock on a hot day. If you are having problems with vapor lock or hard starting with different fuels, check with your fuel supplier about specifics for altitude and temperature ranges for that batch of fuel. The altitude at Wheatland puts a theoretical nominal ‘uncorrected’ barometer at about 29.4 inches HG. That is about 98% air density for STP (standard temperature pressure) weather conditions. That would be for an ideal temperature & humidity. An uncorrected barometer higher than that would be a high pressure front. An uncorrected barometer lower than that would be a low pressure front. Local weather sources most often quote corrected barometer values. You can convert corrected barometer values to uncorrected at https://airdensityonline.com/free-calcs/. 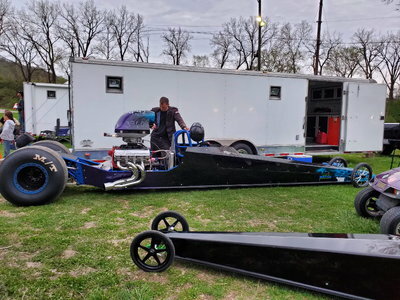 • Air density forecasts are available through Air Density Online for the Lucas Oil Speedway and for racetracks / courses all over the US and around the world. • Air density is key to fuel system tuning in most high performance racing engines. • Fuel needs from the carburetor goes up or down with air density. • Fuel amounts from the carburetor go up or down with jetting. • Engine horsepower goes up and down with air density but at a more complex relation. • Several air density and horsepower correction results are provided from several references. 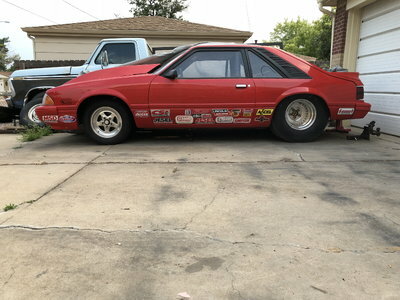 • Air density tuning is a vital part of motorsports setups bought or sold through racingjunk.com.